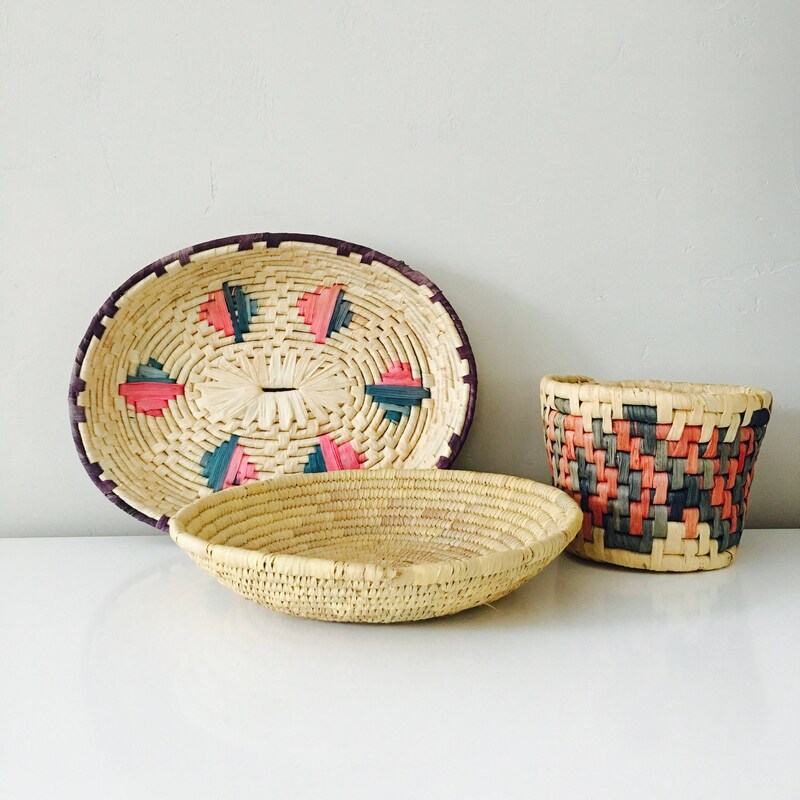 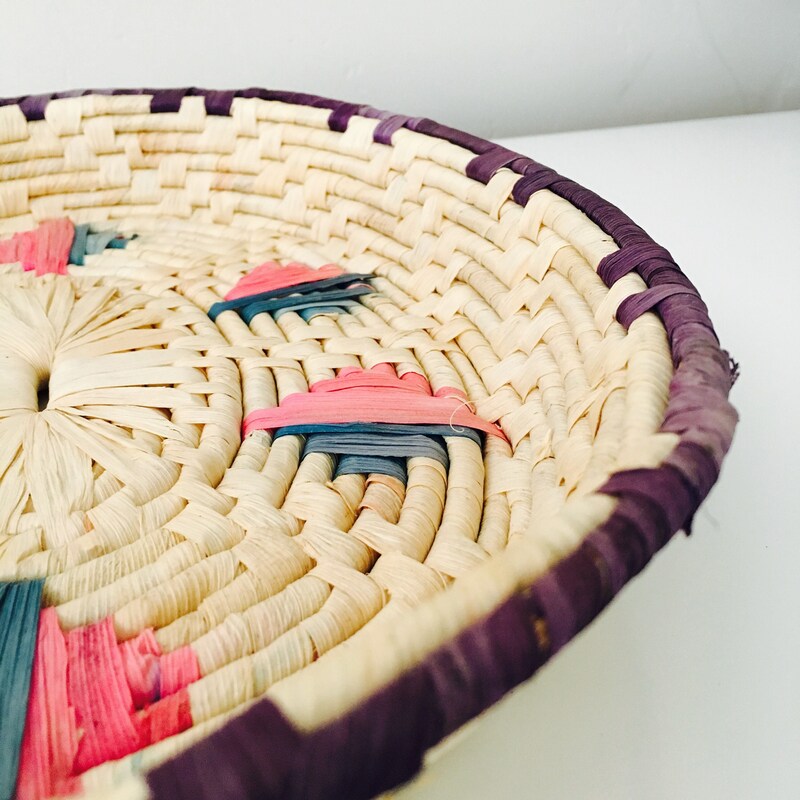 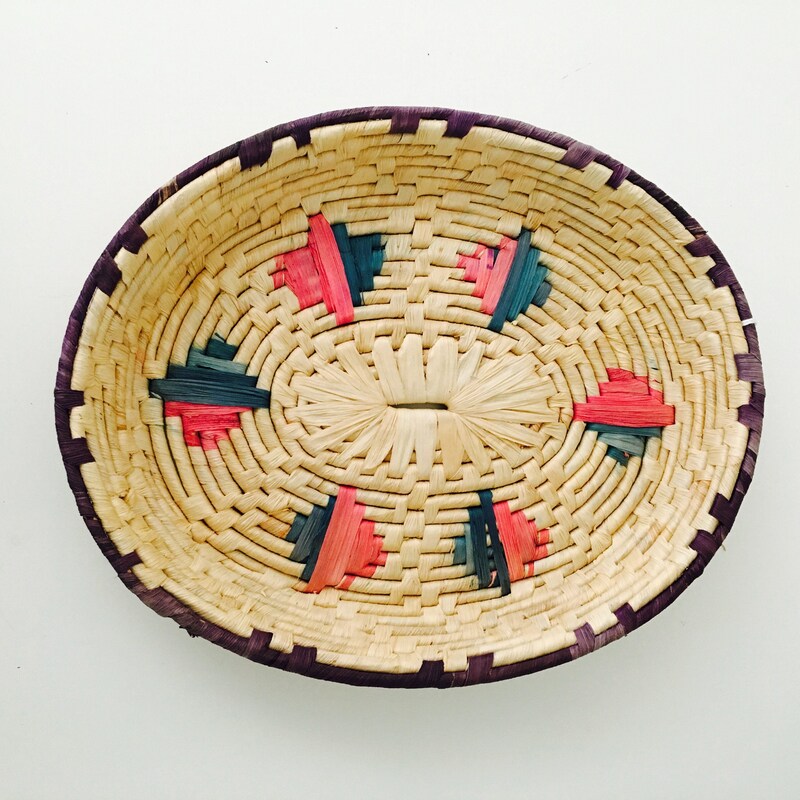 Decorative + functional woven vintage coiled basket with colorful tribal star design. 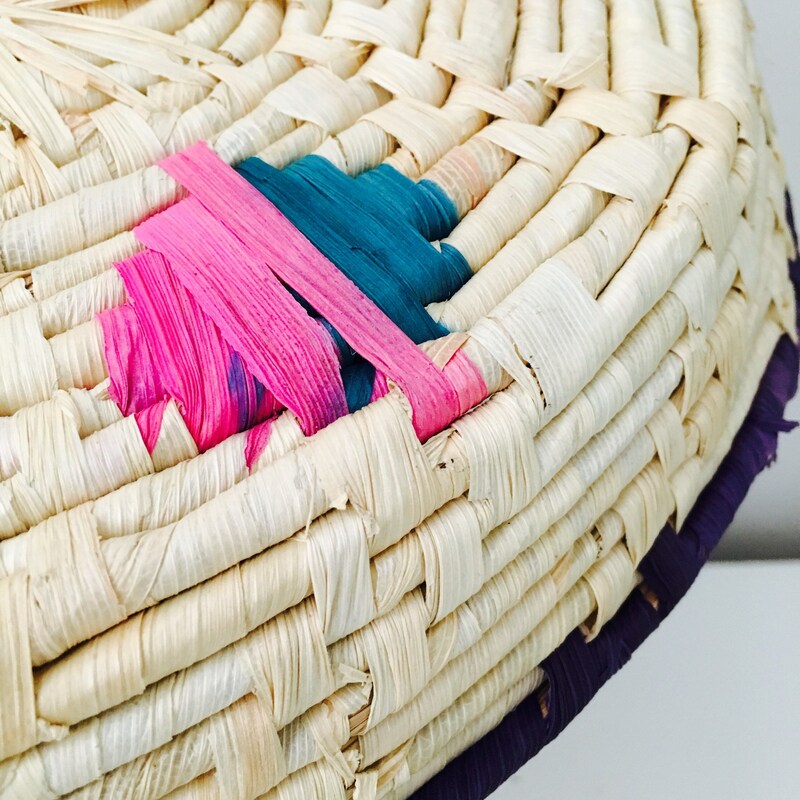 Pink + turquoise star design with a dark purple edge around the top of the basket. 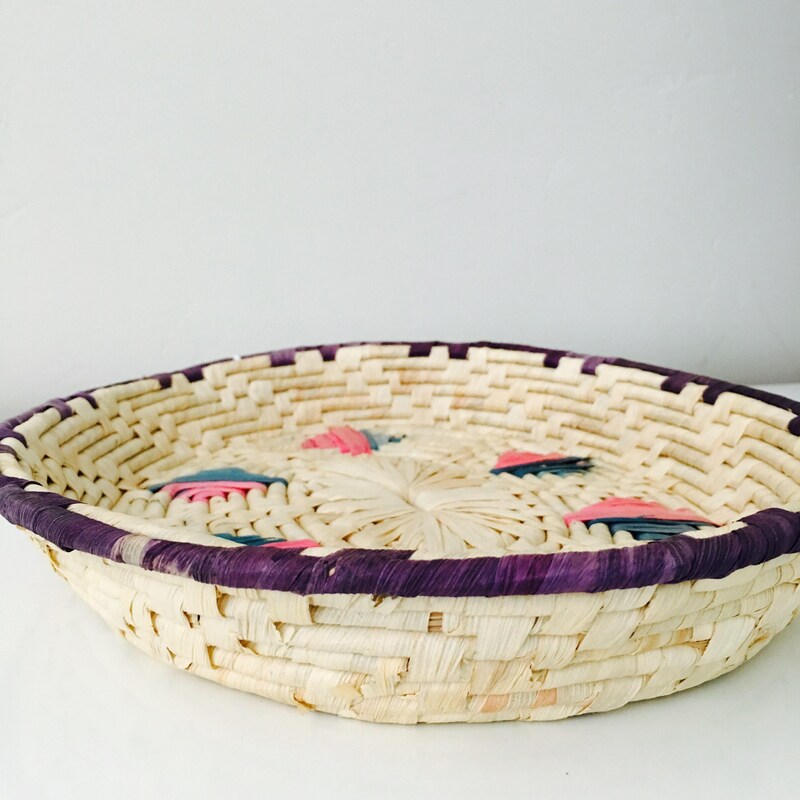 Vintage items are carefully curated for quality + great vintage condition. 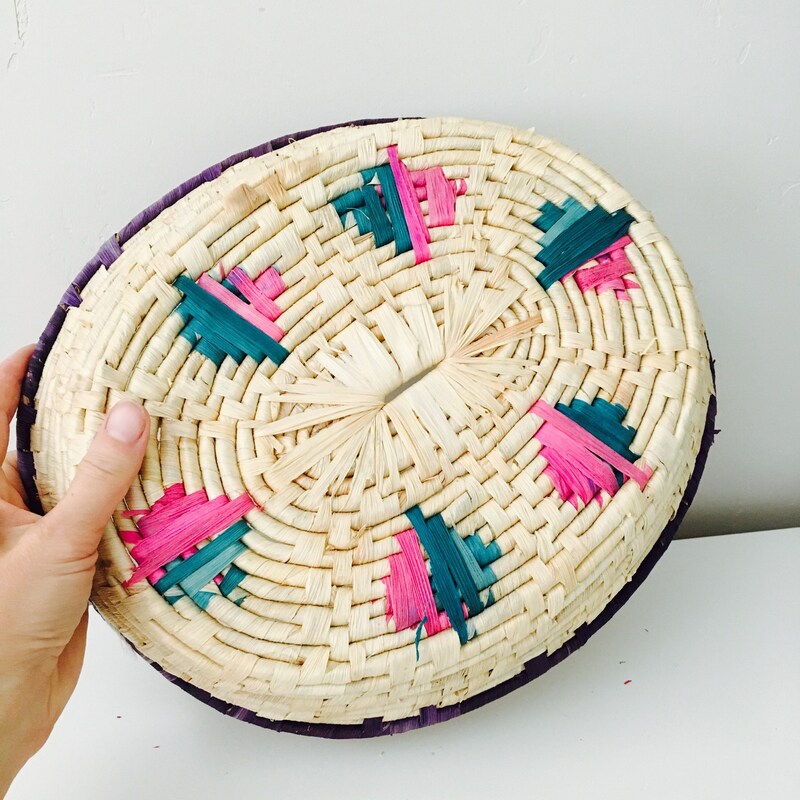 Any minor flaws will be pointed out.